As I was prepping for a meeting with a client last Friday, I reached out to my contact to ask what technology would be available in the meeting room. A portion of our meeting was going to be via web conference and I needed to make sure I could get to the web. I didn’t want to hold up the 5 people during the meeting should technology fail. When my contact explained that they had guest Wi-Fi available a red flag flew up, having had issues with guest WiFi access and performance in the past. I asked if there was also a LAN connected computer in the room. Then it occurred to me that this conversation was really about redundant systems. As companies move applications off site or to the cloud, connectivity becomes increasingly important and tolerance for downtime is very low. Even the most robust data center/colocation or cloud platform will be of little use if employees can’t get to it. (1) Point to Point primary connection with MPLS failover connection. 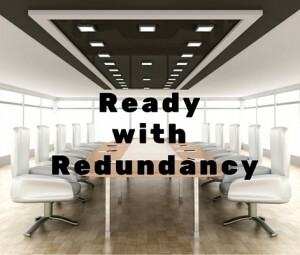 This type of redundancy is typically seen in a large HQ-type office connecting to a data center. Because the HQ MPLS connection will be largely idle, but will need to handle full traffic requirements in a failover situation, a burstable service (one in which a minimal bandwidth is subscribed for normal use, with the ability to ‘burst’ to a much higher capacity in a failover situation) is ideal. The MPLS drop in the data center would ideally be architected in the same way for the same reason. (2) MPLS primary with Internet failover connection. The redundant internet could be delivered either as stand-alone or as part of a converged voice service with internet capability. Many carriers offer the option to create a tunnel to their MPLS network. This capability is useful either for small/home offices or failover scenarios, and also eliminates the need for a customer provided VPN solution. (3) MPLS or Internet Primary with CableCo failover connection. This is a very cost effective redundancy model as cable companies typically offer some sort of high bandwidth business class services. Customers are also using this type of connectivity to offload a primary internet connection from traffic such as mobile WiFi for employees. Many cable services also include voice capability, offering local voice redundancy as well. (4) MPLS or Internet Primary with Wireless failover connection. With 4G coverage expanding, this option is gaining traction, being both cost effective and potentially offering a reasonably high bandwidth in the event of failover. One caveat – if voice applications are utilizing the primary data connection, failover to wireless with the inherent latency is not typically a viable option for voice. Having a plan for redundancy will help your business to increase your uptime and, like the redundant technology for my web meeting, save the costs of idling employees unable to connect to critical business systems.